On Wednesday 13 June 13-year-old Caroline Handford Chmaj of the Army Cadet Force (ACF) and 16-year-old Cadet Flight Sergeant Asim Ahmad of the Combined Cadet Force (CCF) met Prime Minister, The Rt Hon David Cameron MP, at 10 Downing Street. 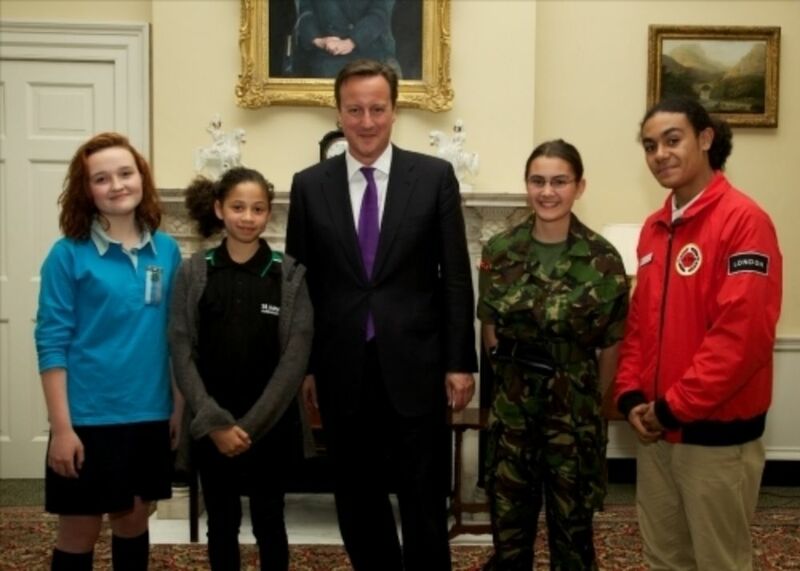 The cadets were invited to the PM’s famous residence to participate in a roundtable discussion with members of other voluntary youth organisations and Mr Cameron about their experiences of volunteering and social action and why they think it is important for young people to get involved in their local community. They were accompanied by ACF adult volunteer, Lieutenant Rachel Fullard. "Today was a unique experience and I will never forget meeting the Prime Minister. 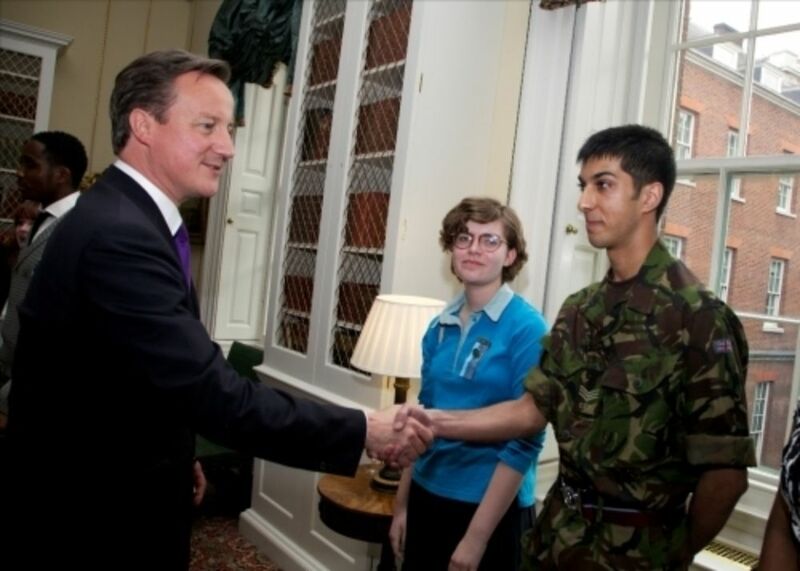 I enjoyed socialising with other volunteering societies, as well as the ACF, and we talked about young people volunteering to change their community. Many of the young people there had done really inspiring things and I was honoured to be part of it. It was a memorable day and one that I won't forget". 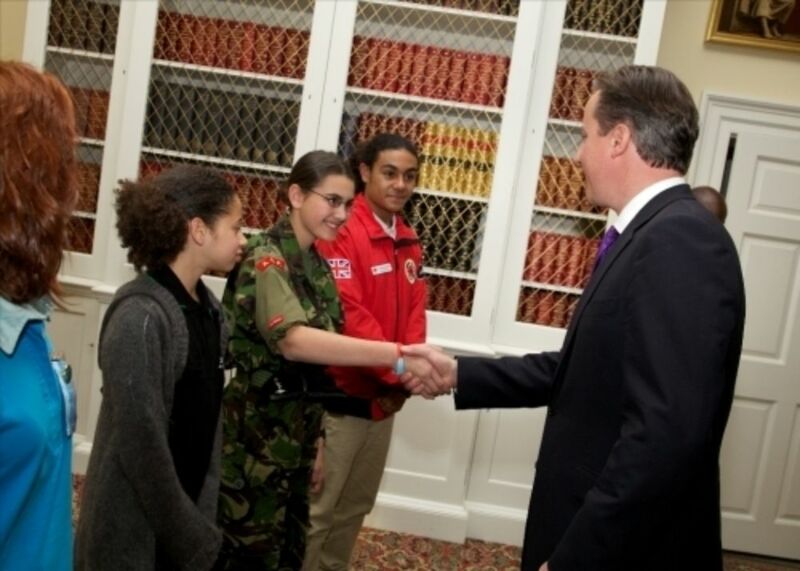 The roundtable discussion was followed by a reception during which the Prime Minister talked about National Citizen Service, his personal initiative and the Government’s flagship programme for 16 and 17 year olds in England.